Its a one Brand for SmartHome IoT products for customers in all over USA and India. MoboMy emerges as a brand to get SmartHome products in every household. MoboMy stands on Delivering the secure smart home. One can build a smarthome solution with a combination of our products. 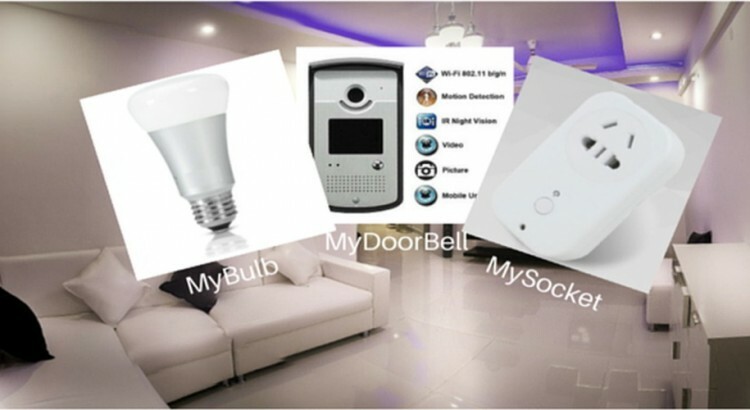 Install the door bell at the entrance door then install our LED bulbs – MyBulb in all bulb holders at home then connect all home appliances to MySocket. You can now start controlling everything from a Smartphone from Entry to Power in your house. We will shortly launch Secure Smart Home Gateway. This will give you ability to secure all end points & provide AI based automated control of all end points connected to the gateway.